As “the most densely populated county in the United States”, Los Angeles comes with its fair share of successes and struggles - with a population constantly growing in size and diversity, and a social structure tasked with the goal of improving the general welfare of its people. However it is becoming more obvious that the improvements we are beginning to see are less a result of institutionalized changes as they are a result of passionate and compassionate movements for social change occurring on a small scale, local level. So, who are these local “changemakers”? How are they doing it? And why are these changes so important? Not only does Conscious LA set out to answer these questions and more, but they’ve provided us with the tools that are essential to continuing this movement for change in our own cities and communities. So, what does this change look like? And more importantly what can we learn from it? You may see this at first glance and think, “Well, of course”, but if you take a second look this statement is riddled with complexity and contradictions. Change is situational, introspective, revealing. And the process of change tells each of us a story about ourselves that we’d never be able to discover otherwise. Far too often we are faced with situations to which our first thoughts are “I can’t do it” or “what difference will it really make”. Instead of first talking ourselves out of trying, we should really be focusing on the reasons why these movements can be so daunting. Rather than ignoring these opportunities for change, we need to push forward with even more determination. A perfect example of this can be seen in the efforts being made by LA-based brands such as So Worth Loving, Weekend Society, and Apolis - all of which are working to bring empowerment and sustainability to communities by promoting socially conscious clothing production internationally. It is becoming more widely recognized that the issues our global clothing market is facing with regards to labor conditions in garment factories are both horrendous and immeasurable. Yet, as a result of the efforts made by these and other conscious clothing brands combined with each of us making more conscious purchasing decisions, the change can grow from small to large and can impact one community to hundreds. We don’t have to pursue impactful change alone. Impact is inherently a social concept - it’s shared and experienced by numerous people at one time and therefore sustainable, purposeful impact necessitates collaboration. By collaborating on projects with one another we not only plant the seed for stronger communities to grow, but we create a space where new ideas can be heard and noticed. At Hub LA - a space which is devoted to promoting just this type of community collaboration - everyone from startup entrepreneurs to community artists can support each other in the discovery of new ideas, concepts, and projects that have the potential to shape a better future for our communities. This type of collaboration isn’t just seen at a local level, but at a global level. Groups such as The Base Project and Article 22 are actively working with local artisans in developing communities around the world to support social and economic development by providing them with access to international markets to sell their handmade goods. Forward movement doesn’t always come from closing your eyes and taking a giant leap, but instead from taking tiny steps one at a time. We often forget that one small step can have an even greater impact in the long term than a giant leap ever can. And two of the groups highlighted in Conscious LA embody this idea perfectly. The Giving Keys, a group that works to help homeless individuals into transition housing by giving them jobs making jewelry from old keys. P1124, a conscious clothing company that invites you to buy their clothing and give it away to someone in need. Both are working on a small scale to change large scale problems. Each of their programs work on a one-to-one basis, where you buy an item and impact a person’s life, yet the social impact of this is more far reaching than meets the eye. For not only are you and another person changed by the experience, but as you share your story and they share theirs the impact continues to grow and flourish. People grow from experience and example - and stories embody both of these things perfectly. To tell a story not only helps you to process your own experience better, but allows you to share your new understanding with someone else. And the value of this type of exchange is infinite. Stories inspire change, and to inspire change we must first inspire each other with our stories - creating an unending loop of exchange and growth along the way. 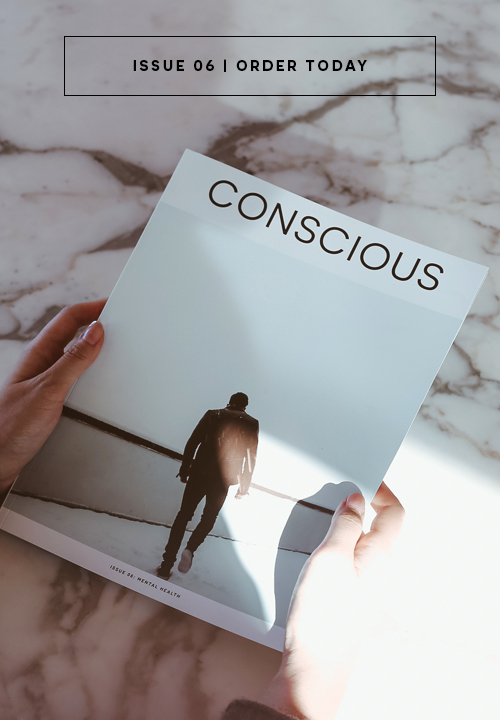 One of Conscious LA’s articles highlights Darling Magazine, which promotes just this kind of change by empowering their readers with articles and stories that are relevant to their lives instead of instructing them on what shoes to buy or how to dress their hair. By pulling away from the typical subject matter and direction of today’s women’s magazines, the Darling Movement gives women a place to speak and be heard, and the community in which to carry out positive changes. Our local and global communities cannot continue to develop and grow without the help of sustainable and impactful changes from the bottom up. This means that the responsibility is on each of our shoulders to not only try something new, but to unite with others in our communities to find solutions to both the simple and complex problems that linger in our homes and on our streets. And one more thing that Conscious LA can teach us is this: that real, fundamental change happens because of the sincere efforts made by individuals and communities. Giving each other a voice, hope, or even a sweatshirt can change the entire dynamic of a community for the better. So find your opportunity and take it - not just for the betterment of your own life but for the betterment of your entire community.